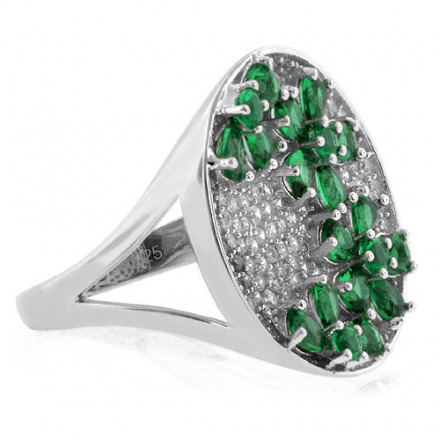 Beautiful Micro Pave Emerald .925 Silver Ring. Beautiful and elegant, this is the perfect choice for the ring that who wants their hand to look nice. 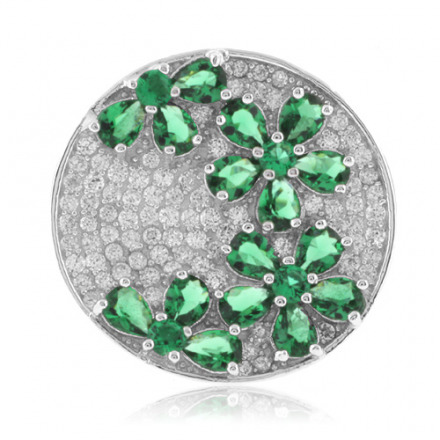 Rhodium finished sterling silver ring features inlaid Emerald gems in a flower setting. White Cubic Zirconia accents are placed in a MicroPave setting. Fashioned in .925 Sterling Silver, the style offers a remarkable look. Once you slip it on, you may never want to take it off.